I recently purchased FS Commander through Aerosoft and I have a question about the DB Manager and what I think is a bug to report in FS Commander. I assume this is resulted from registering the program through Aerosoft, but I'd like to be sure in case I need to do something to correct this. Please advise. 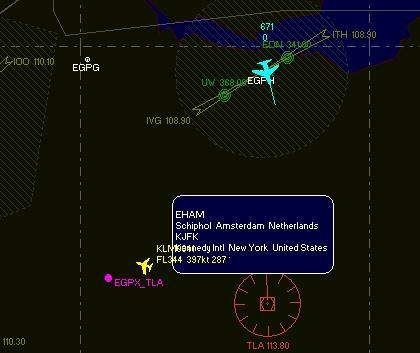 Regarding FS Commander, I ran the program recently attached to IVAO and noticed that the balloons that appeared when I hovered over aircraft included incorrect information. Every balloon would show the same information for several minutes or more until something changed, and then a new set of information appeared in every balloon. Here is a recording showing this behavior for a short period. I am wondering what caused this behavior and whether there is anything I can do to make correct data to appear. Thanks to you both for the work you are doing with these applications. With regard to DB Manager, I updated the db this morning and noticed that the manager says that it is unregistered. Did you read the installation instructions? Vista and Windows 7_8_10 users please readbefore install FSC10.pdf. Has the FlightSim Commander been installed as administrator? Is the DataBase Manager running as an administrator? I can not verify your duplicate information problems when using IVAO. Please make sure that the installation and execution of the FlightSim Commander has been performed as described in the attached document. If so, fly as a minimum 30 minutes while connected to IVAO. Then send me the complete subfolder /SUPPORT to my e-mail address. My apologies, Volker. I had read this before but didn't think about the history it mentions when I wrote my salutation in the first post. Yes, and I read it again just now. I believe I followed the instructions to the letter, but it is always possible that I erred. I give up. The interface to quote text for replies is incredibly difficult to use (at least for me). I don't have the problem with the DB manager now. I think I used an old shortcut to open the software from the non-registered demo. I don't know, but that might have influenced the behavior of FS Commander, although I can't see how it could produce the effect that I saw. I'll have to use the program some more to see if the problem persists. If so, I'll address the issue again. You have certainly downloaded the demo version from our website. If yes, then that would be the explanation for your problem. The demo version from our website and the full version of Aerosoft differ in installation and certification.